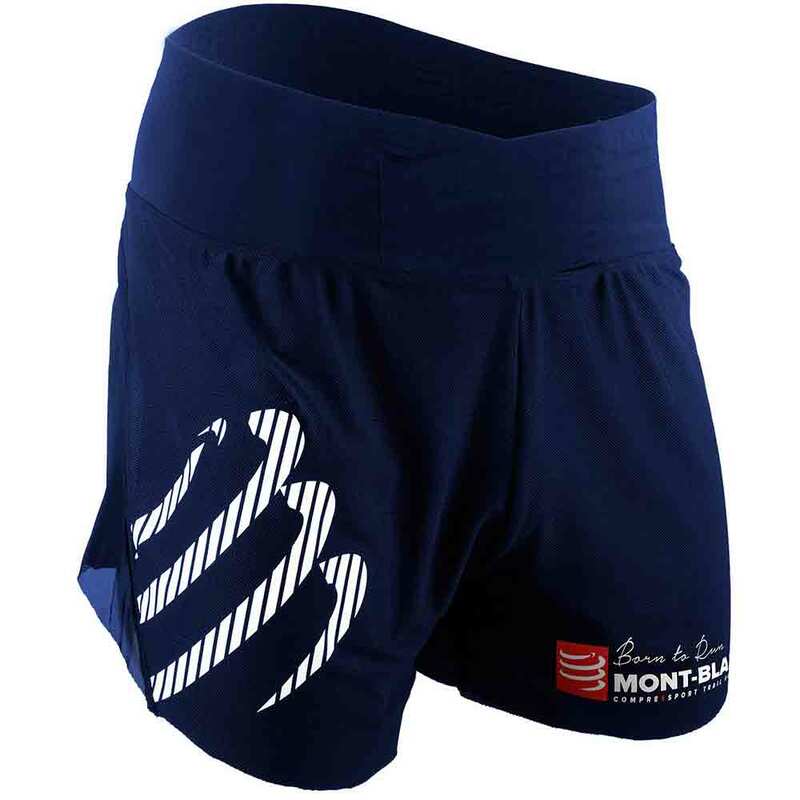 Compressport® proposes a limited edition of comfortable Overshorts that guarantee total freedom of movement. It is worn over any underwear or your trail short and it will in no way hinder your strides. Mounted without hems, it does not pressure nor is it heavy. Fitted with a clever belt that can store keys, gels or your phone, this Overshort combines convenience with comfort. Mounted in one layer and without hems, this limited edition of Overshort has numerous benefits. - A V-shape front pocket to store keys, gels and phone. - A V-shape belt perfectly ergonomic that gives maximum support to the abdomen without pressurizing. - A hydrophobic fabric that retains neither water nor sweat. - It is so light that you will not even notice you`re wearing one on your short! The water-repellent fibre wicks moisture away and evacuates sweat without absorbing it, even when excessive. No more uncomfortable heavy, damp clothing that irritates and doesn't dry.